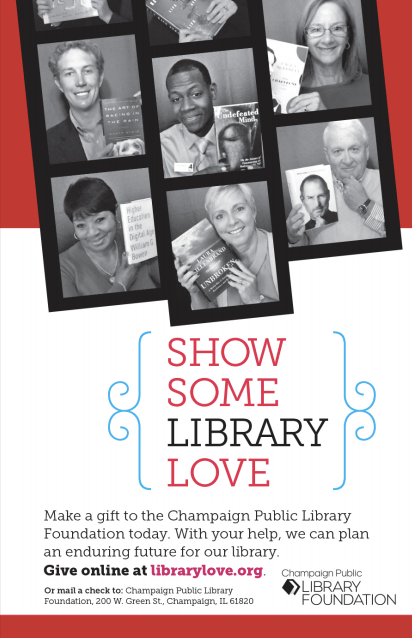 The 2013 fundraising campaign for the Champaign Public Library Foundation was themed around the tagline “Show Some Library Love”. The campaign rolled out across multiple media, including: library banners, print mailer, print and online advertisements (in local papers and websites), social media art, radio ads and underwriting, and more. Examples of some of these are included, below, but the full entry can be viewed here (PDF), According to reports, this campaign led to fundraising goals exceeded (source) and a “30% increase in the number of gifts received and a 60% increase in dollars raised, compared to the previous year’s campaign” (source). 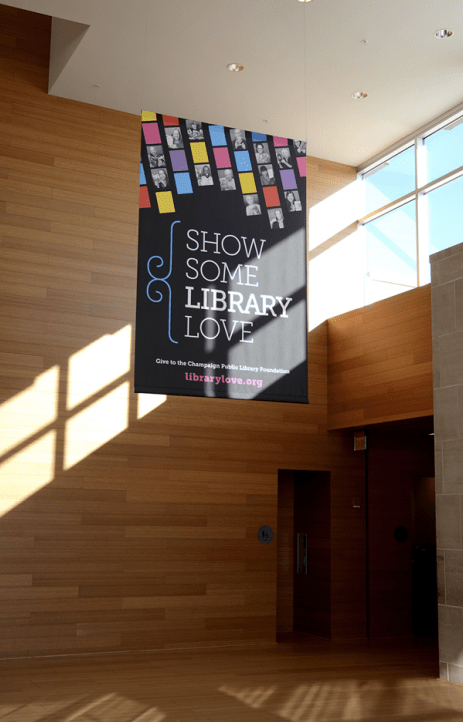 The award submission also notes that the campaign was very useful in raising more awareness and public support for the library in general, with the photobooth concept (photos used in the print ad, below) being particularly popular with the community. Congratulations to CPL for their award.